The U.S. government will reach its statutory debt limit in late February, earlier than previously expected, according to Treasury Secretary Jack Lew. Congress temporarily suspended the debt ceiling through Feb. 7, at which point the government will reach its borrowing limit. Treasury then will implement “extraordinary measures,” which Lew previously said would carry the government into March. In a Jan. 22 letter to Speaker of the House John Boehner, R-Ohio, and other congressional leaders, Lew said that estimate was overly ambitious, as the government will have to spend a lot of money issuing tax returns. Treasury -- which doled out $230 billion last February compared to average net outflows of $45 billion in the rest of 2013 -- will pay out even more this February because the government shutdown delayed the start of tax filing season. Also, the extraordinary measures, which typically include a suspension of reinvestments into the securities that make up the Thrift Savings Plan’s G Fund, will free about $200 billion this time around -- $130 billion less than in 2013. “The significantly smaller amount of headroom that can be freed up now will quickly be exhausted by the large obligations of the government that occur in the month of February,” Lew wrote in his latest letter. 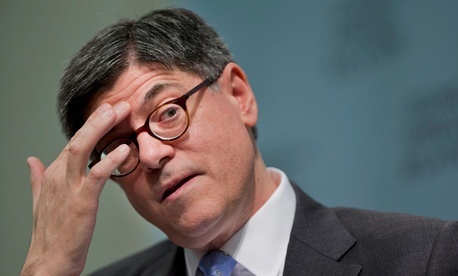 The Treasury secretary asked Congress to act sooner rather than later to raise the limit.